Microsoft is expected to release several new Surface tablets on Tuesday, including an 8" Surface Mini and at least one new Surface Pro. A new leak today suggests that we will see not one but 3 new Surface Pro models later this week. WPCentral is reporting this morning that they have an inside source which says that Microsoft will be unveiling at least three new Surface Pro 3 tablets at 5 different price points.. In addition to a model based on a Core-i3 chip, there will also be models based on the i5 and i7 chips. There is also some speculation that the Surface Pro 3 is going to be larger, possibly with a 12" screen. This would not be a bad idea; these tablets are explicitly intended as desktop replacements so it would make sense to give them something larger than a netbook-sized screen. The Surface Pro 2 runs Windows 8 on a Core-i5 chip and has a 10.6" screen. It is offered at four price points ranging from $899 to $1,799 depending on the amount of RAM (4GB or 8GB) and internal storage (64GB/128GB/256GB/512GB). In a way, the new models (assuming this leak isn't fake) are only a slight differentiation from the Surface Pro 2; in addition to the new and slightly cheaper model, Microsoft is also unveiling a couple models with considerably more oomph (and rather high prices). Is anyone planning to buy one? I'm not; I would not buy a Windows 8 device if you put a gun to my head, so I was never in the market for one of these. But if I were in the market for a Win8 device I would definitely get one of the Surface Pro tablets over the many cheaper Win8 tablets on the market. If you have been following my coverage of the Surface Pro rumors over the past few weeks (or my previous coverage of Microsoft's flagship tablet) you might recall that I recommended against buying a Surface pro tablet and wonder at my about face. But if you had read the past coverage, you would also have read the comments which changed my mind. Over the past few weeks the Surface Pro tablets have been vigorously defended by their proponents. While they have not convinced me to get one myself, they have explained why they purchased one. When i buy a tablet I look for an ancillary device to complement my laptop, but many of them bought a Windows 8 device as their main computer. In that situation it made more sense to get a tablet that is as powerful as a laptop. A few minutes spent searching Amazon has shown me that most Win8 tablets are based on one of Intel's Atom CPUs. Those are decent-quality chips, but they are not powerful enough to meet my requirements for a work laptop. And that means that if I were getting a tablet as my main work machine I would not buy one which came with an Atom CPU. By that standard there aren't many tablets which could completely replace a laptop. Sure, most of the tablet makers has one or more models, and for the most part they cost about as much as one of the Surface Pro tablets. Which just goes to show that when it comes to price, performance, and mobility, you can have only two out of the three. Were Indie Authors Really Segregated at the RT Booklovers Convention? Don’t think I will buy a Windows 8 device also, I nearly throw my Lenovo X1 Carbon after installed with the latest Windows 8 OS… Terrible experience. 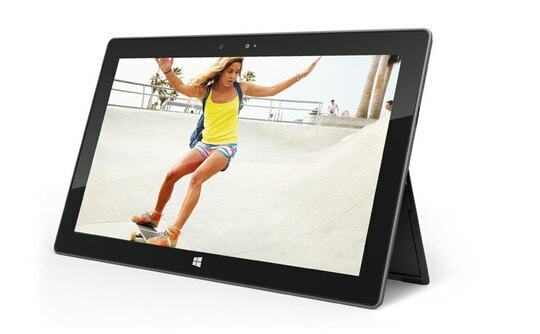 If I were in the market for a Win8 tablet, I’d be more likely to go with one of the cheap Atom-based ones. I don’t need a tablet to transcode video; I have a desktop at home for that kind of thing. These Surface Pro tablets are overkill and having a fast processor just burns through your battery faster when you’re browsing the web on these. That said, I don’t need one right now. I have a five year old Acer netbook that still gets eight hours battery life and does all I need in a portable. Best $350 I ever spent. Why would you not buy an Atom-based tablet? The current Atoms based on the Silvermont architecture are actually fast and have nothing in common with previous generations of Atom-branded hardware. Their performance per watt is even reported to be higher than that of Haswell-based chips. What are your requirements that a Silvermont-Atom-based system wouldn’t meet? I might buy one – if it ran Android. I have seen some with impressive benchmark scores. I have to admit I just last week switched my phone and tablet ecosystems from Android to Win 8. I just got fed up tuning Android, with the partial incompatibilities and all and, well, just wanted something more professional. I never thought I missed Word and Excel but here I am. And I’m really, really surprised at how much I like the Lumia. What was wrong with Android? I see that your website says Finland; language issues? I have not noticed any general issue with Android. Specific devices annoy me but not in any general way. I don’t believe there are any language issues with Android anywhere, that’s a relatively easy issue. Some of the alienation certainly has had to do with experience of specific devices. Tuning and re-tuning a Chinese tablet (with good hardware specs) several times didn’t feel like a challenge anymore. And the different versions of Android and all the manufacturers bloatwares… Evolution seems to have taken over by mutation. Also, the inflation of apps–million of apps–devalues the user experience. It’s like being fed with candy all day when you need protein. I need 10-30 apps, the others are a waste of time. I will hang on to Android for business reasons (keeping up), but for all my serious work I guess I will use Windows for some time now. Valentine: it’s still grass but it doesn’t feel as patchy as on the other side.